Goldberg & Goldberg is a Chevy Chase law firm that handles probate and estate administration matters. During probate, a court will oversee the transfer of property from the estate of the deceased to one or more of his or her beneficiaries. 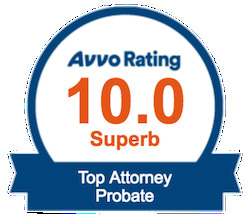 If you have recently lost a loved one and require assistance in navigating through the complex probate process, we can help. Let our probate attorneys help you file the estate's tax forms, file the will with the probate court, inventory the property held by the estate, pay the estate's debts and expenses, and distribute the residual property left unaccounted for by the deceased. Contact us online or call us at 301-654-5757 to discuss your matter.